There is nothing better than a tasty and hot soup to warm you up during the cold winter and spring days we're experiencing currently. And, your little one can enjoy this healthy and sweet treat together with you! I started giving this soup to my daughter when she turned 6 months, eventually adding different meats to it, and she still loves it!!! If I'm making this soup for my infant daughter, I use half the quantities of all of the above. 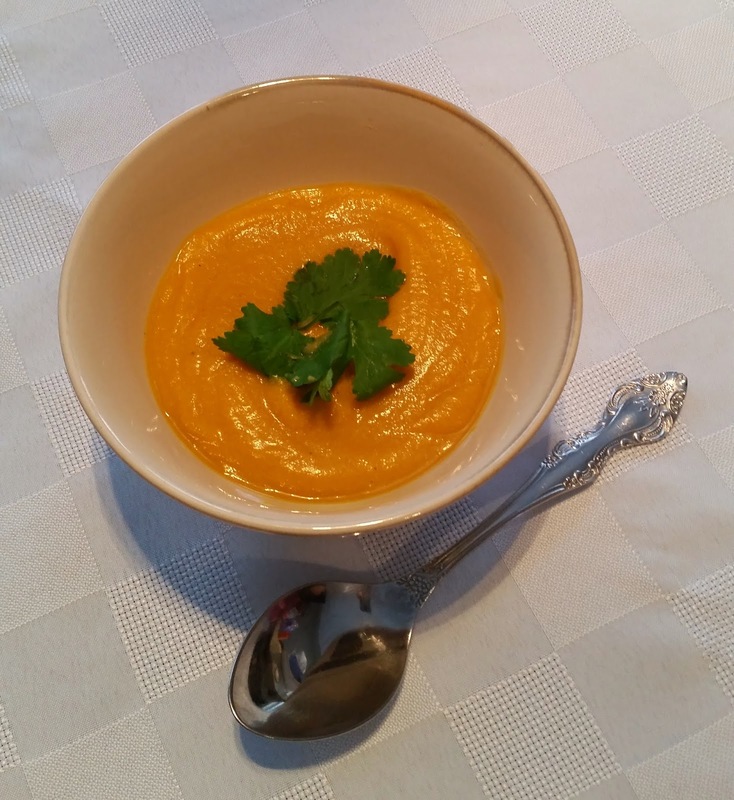 Note: You will need a blender or a food processor to puree the soup once ready. Heat oil in a large saucepan and add the onions, cooking until they begin to soften, about 5 minutes. Add the cashes and cook, stirring for about 5 minutes. Add the carrot, apple, squash, thyme, and bay leaf to the pot and cook for 5 minutes. Add the vegetable stock and stir to combine. Bring the soup to a boil and reduce the heat to medium-low, allowing to simmer until the squash is easily pierced with a knife, about 20-25 minutes. Remove and discard bay leaf. Allow the soup to cool to room temperature. 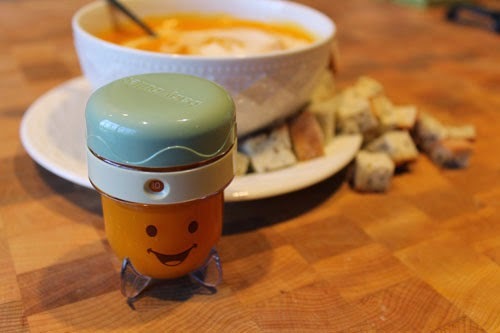 Working in batches, ladle the soup into your blender or food processor, and puree it. Heat soup to desired temperature before serving.